It was not immediately clear if the former Juventus and Real Madrid star will lead the team on a temporary or permanent basis -- Chinese media speculated that the upcoming China Cup may amount to a job audition. The 70-year-old Lippi will be a consultant under the new coaching set-up named for next week's China Cup, the Chinese Football Association (CFA) said. Cannavaro's first match in charge of the national side will be next Thursday, when the hosts play Thailand in the China Cup, which also involves Uruguay and Uzbekistan. Five members of Lippi's Asian Cup squad were from Evergrande and the CFA have decided that Cannavaro's familiarity with them can help improve the national team. 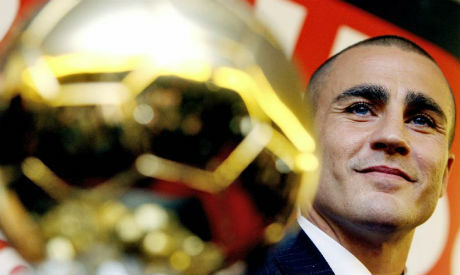 After Evergrande were beaten 3-1 by unfancied South Koreans Daegu in the AFC Champions League on Tuesday, the Oriental Sports Daily asked: "With the current record of Cannavaro, can Chinese fans trust him?"